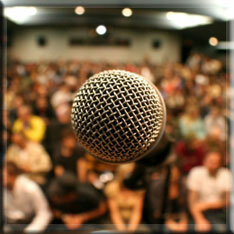 MC Sydney - Your professional Master of Ceremonies for all Events. MC Sydney is the place to find a professional Sydney MC, for your wedding, corporate event, an MC for a special event or a Sydney MC for any occasion. 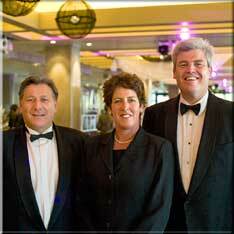 We MC weddings, MC events and MC functions all over Sydney and beyond. Why Use an MC ? The success of any event is dependant on many things coming together, at the right time, with the proper introduction, with perfect coordination, and with delivery that makes your occasion unique, special and a great memory for all involved. A great MC can plan all of these things and allow you and your guests, colleagues or business associates to focus on enjoying the moment, rather than wondering what happened. Your MC should be able to give you confidence that they can engage with the guests, function staff and other parties involved with the success of the wedding reception. A good MC will follow the plan and make the night run smoothly, a great MC will be honored to do the job, make you smile and seem like part of the family. At MC Sydney, we aim for greatness. Let us help you plan the "Perfect Wedding"
Our MC's are masters of their trade. Their trade is to discuss, plan and deliver a wedding reception that is coordinated, smooth and polished. We will personally meet and discuss your wedding reception. At this meeting we will establish an order of events that will ensure everything comes together at the right time, in the right order and in the right manner. To discuss your event call Greg on 0488 778 876 or contact us.